I can not enter a phone number in field: send to. Whatever I try to enter I receive an error message: loading failed. I’ve tried everything. Please help me. I use 1.4.2 version PlaySms on ubuntu server! 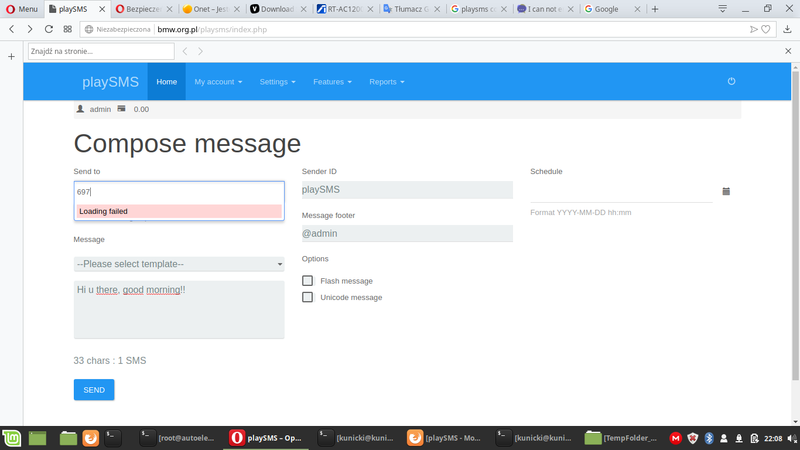 Check into your config.php your configured url agains url you are using to access playSMS, probably there is a mismatch.